The Top 12 contestants performed one at a time, by team - and then the voting window opened for votes. 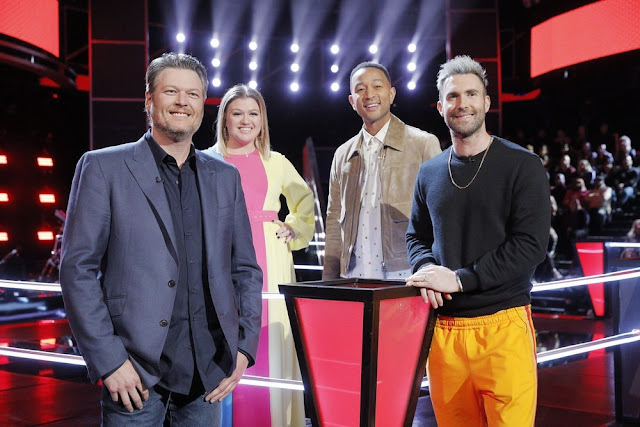 Then, throughout the show, coaches Miley Cyrus, Alicia Keys, Adam Levine and Blake Shelton gave their feedback on the performances of the contestants. After the show, we talked to the Top 12 contestants. Click on the video to see the interview with Blake. On Tuesday results show Sa’Rayah from Team Alicia was eliminated after losing the twitter save to Aaron. The remaining 11 artists performed live on the show on Monday, November, 21.